“Critical darlings (thanks for the “Best New Music” accolades, Pitchfork!) Bear In Heaven packed the Mercury Lounge to bursting Wednesday night, giving a performance that showed a darker side to their music than the clean, almost poppy sound of their excellent record, Beast Rest Forth Mouth. In concert, the band puts forth a somewhat more shoegazy vibe, with pounding drums, intense reverb and layered keyboards. Through the haze of incense burning onstage, Bear In Heaven made clear why they have stood out among Brooklyn’s many excellent bands. One could easily imagine this music translating to a venue three times the size of tiny Mercury, which boomed with the band’s colossal sound. As Pitchfork’s effusive review put it, “This is music that’s bigger than your iPod– music you’ll want to feel all around you.” Absolutely true. Back in October, nyctaper also recorded Bear in Heaven as part of the Showpaper/ToddP/Pitchfork benefit at Market Hotel. 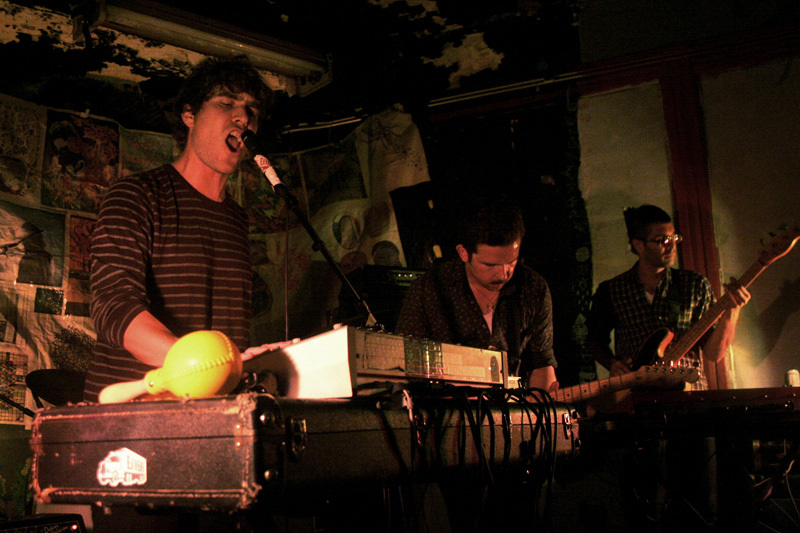 Previously, we posted from this night Cymbals Eat Guitars, Surfer Blood, Smith Westerns, and Real Estate. This Bear in Heaven set was recorded with the Neumann microphones combined with a soundboard feed, and the sound is excellent. 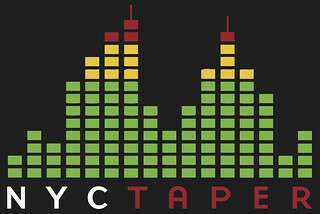 If you email nyctaper for access to these recordings, we expect that you will PLEASE SUPPORT Bear in Heaven, visit their website, and purchase their official releases directly from the Hometapes Records site [HERE]. did you by chance record the oh no ono set at mercury? i’d love to have that radiohead cover of theirs. thanks man!